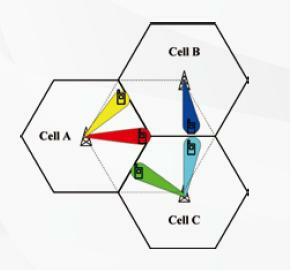 Visualization of Beam Forming in LTE, channel state information, throughput and coverage, beam forming, state information, beam, channel, information. Currently, beam forming is only applicable for TDD version of LTE. The time synchronous version of LTE TDD on uplink and downlink also makes the implementation of beam forming more attractive than in LTE FDD. Its algorithm is highly complex and utilizes channel state information to achieve array processing SINR gain. As it is based on a multiple transmit configuration, this feature can significantly improve downlink system throughput and coverage performance and also provide good user experience by offering higher data rates. The main drawback here is there is also the requirement of either 4 (4×4) or 8 (8×2) transmit path from the eNodeB side which could make this more expensive to implement. There are two type of beam forming mode defined by 3GPP, Mode 7 (Rel 8) and Mode 8 (Rel 9). Mode 7 supports only single data flow so it can mainly improve coverage but Beam Forming in LTE Mode 8 can support multiplexing dual data stream as well which means it can improve both throughput and coverage.